This hauberk is made of 1,6 mm thick butted round rings with an inner diameter of 9 mm. The rings are interwoven four in one and riveted with round rivets. 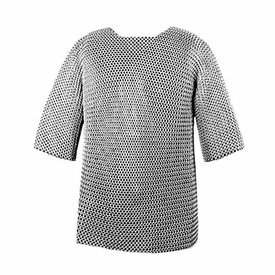 The hauberk has half-long sleeves and reaches just over the hip. Chest: circumference around the chest, breathe in. 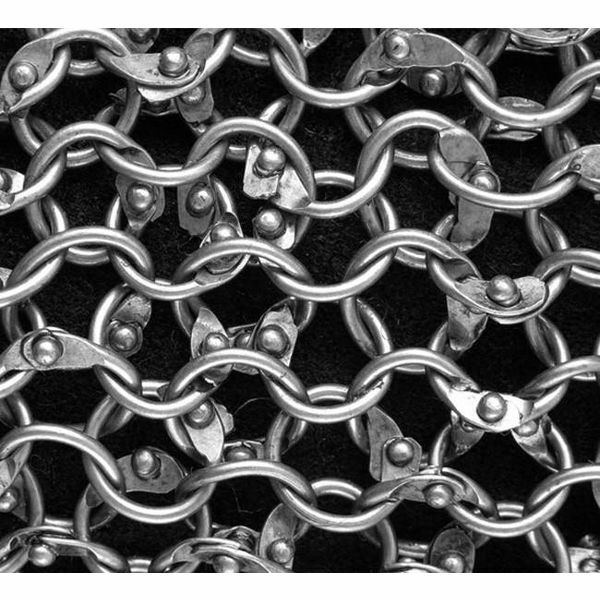 This chainmail has a steel thickness of 1,6 mm and is made 4:1. This item is handmade in a limited amount. Each item is unique. Sizes and finish can slightly vary.